The Speed badge comes with a history dating back to 1926. It is the same factory building as the factory always have been located, Kverndalsgata 8 in Skien. 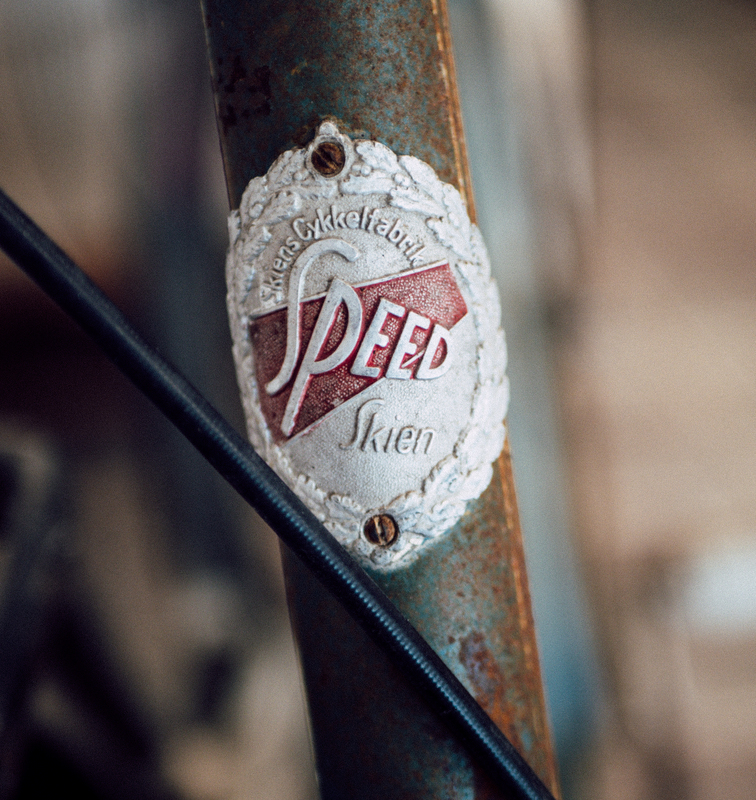 The badge is still featuring the characteristic Speed logo on an aluminium badge with hand painted details. 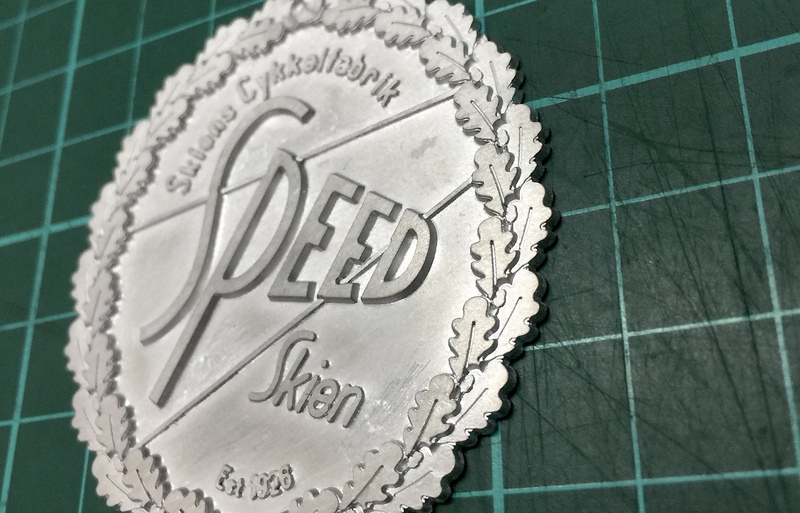 The process of re-making the Speed badge was all about details. We created artwork based on the original design with details like the oak leaves and nuts. The text was traced and we actually created a new Skiens Cykkefabrik font. The whole design was done in CAD and the mold has been CNC machined and hand finished. Each badge is now made in the same process as back in the day with cast alumium that is bent, holes drilled and finally hand painted. 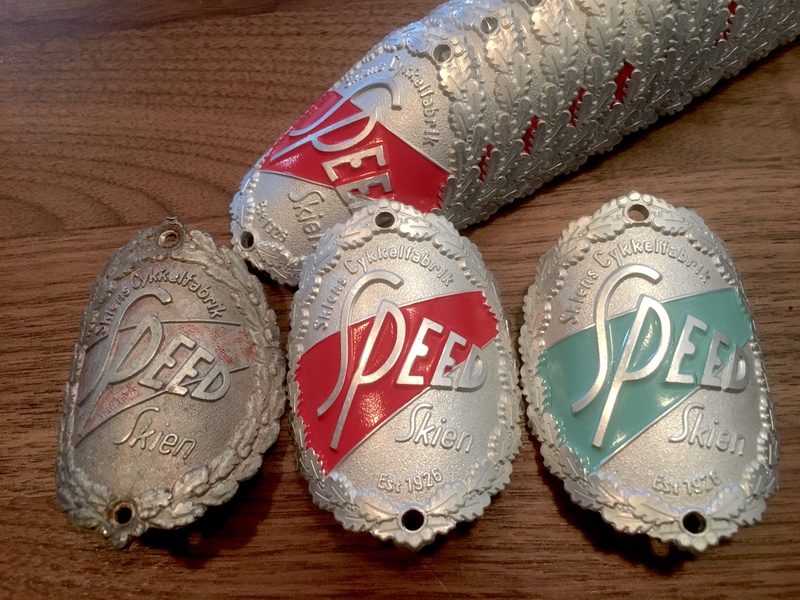 The resulting badge has a clear lineage to the old Speed badge. It is somewhat modernised with new manufacturing methods but it still features the art deco styled brand of Speed from Skiens Cykkelfabrik. A beautiful and timeless piece of bicycle jewlery.